In 2016, nearly 40% of all construction fatalities were directly attributed to falls on the job. 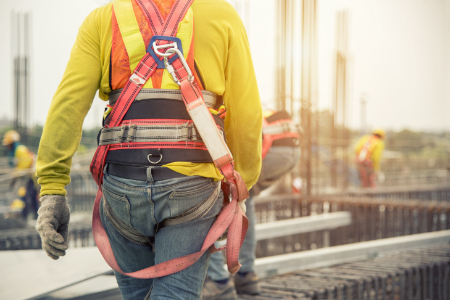 Over the last 5 years, the U.S. Department of Labor’s Occupational Safety and Health Administration (OSHA) has held an annual National Safety Stand-Down week in the second week of May to raise awareness and prevent falls. OSHA’s uses Stand-Down Week to encourage employers and workers the opportunity to pause from the daily grind for toolbox talks, safety demonstrations, and training in hazard recognition and fall prevention. To guide nationwide and international efforts, the agency’s Stand-Down webpage offers information on conducting a successful event, and educational resources in English and Spanish. Employers are encouraged to provide feedback after their events, and to obtain a personalized certificate of participation. Organizations supporting and participating in the event include the National Institute for Occupational Safety and Health; Center for Construction Research and Training; National Occupational Research Agenda; OSHA-approved State Plans; state consultation programs; American Society of Safety Engineers; National Safety Council; National Construction Safety Executives; U.S. Air Force; and the OSHA Training Institute Education Centers, among many more. To learn more about preventing falls in construction, visit https://www.osha.gov/stopfalls/. 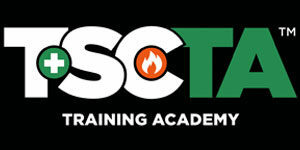 At TSCTA, we’ll be promoting fall prevention all month long. We’ll be partnering with our TSC family of companies holding Stand-Down events and providing additional materials promoting fall prevention awareness in all our classes. We’re also bringing back our #StandDown4Safety contest giving our clients and everyone in the construction industry a chance to show off how seriously they take safety and fall prevention on their job sites! Make sure to submit your photos by May 11th, the last day of National Safety Stand-Down.